Dr. Merriman, P.E. received her Ph.D. and M.BAE in Biological and Agricultural Engineering from North Carolina State University with the support of a National Science Foundation Graduate Research Fellowship. She completed her undergraduate studies in Biosystems and Agricultural Engineering at Oklahoma State University. 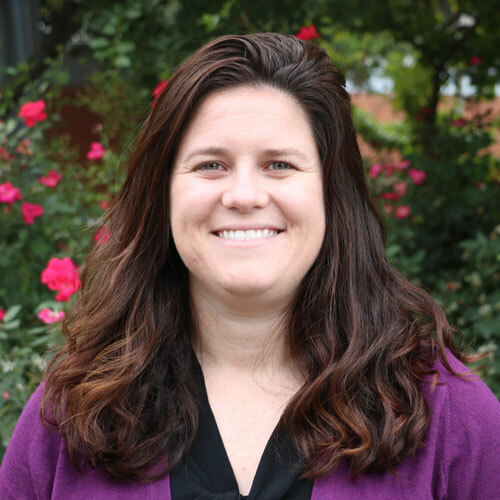 Before joining the Department of Biological and Agricultural Engineering in August 2018, Dr. Merriman spent 2.5 years playing in the rain as a water resources engineer with a consulting firm in San Diego, California. During this time, she was involved with a variety of projects, such as investigating pollutant sources and pathways in watersheds, identifying data gaps, and recommending monitoring and engineering desktop analyses needed to perform modeling tasks; implementing low impact development and green infrastructure strategies; designing retrofits for existing stormwater drainage systems; and providing maintenance and/or rehabilitation recommendations to clients. Dr. Merriman is a registered Professional Engineer in North Carolina. Dr. Merriman wants use her research and industry experience to develop teaching methods and undergraduate research programs to enhance the educational experience of students in Biological and Agricultural Engineering. Her research involves scholarly inquiry into student learning via pedagogical studies, curriculum assessments, implementation of more modern teaching methods, and other pillars of the Scholarship of Teaching and Learning movement.